PlaySitters Hawaii is a specialized sitting service that provides enhanced care in the child’s own home. PlaySitters supply children with an enriching and safe environment that focuses on the promotion of the child’s well being through the use of play. PlaySitters come prepared with specifically chosen and developmentally appropriate toys, books and arts and crafts to engage the child in the world of imagination. 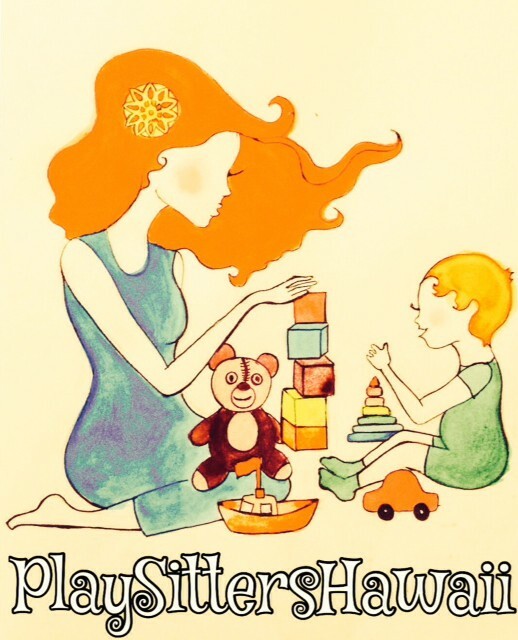 The mission of PlaySitters Hawaii is to enable children to develop to their full potential by using the educational and therapeutical value of play. To re-shape the way parents view “babysitting” by introducing extraordinary PlaySitters who join children on their natural path to self-actualization through the use of play. ***PLEASE NOTE: PlaySitters are not Play Therapists. If you feel that your child needs therapy, please contact a Mental Health Professional. Play Sitters are child care providers who have a child development background and have learned how to use skills that allow children to engage naturally in play with the support and individualized attention from an adult. Ali has been play sitting with my girls for over a year now. She is absolutely wonderful. I completely trust her with all 3 of my precious girls, including my sweet baby girl. My 2 older girls adore her and are so excited every time she comes to play. She is very engaging with children and brings her own toys and art that is appropriate for their ages. She does an awesome job connecting with them on their level. She is highly recommended and worth every penny! I was planning a vacation to Hawaii with my husband and two kids, so I asked a friend who lived there for a trusted sitter. She gave me Ali’s name and we talked a few times and met before she spend time alone with my son and daughter (ages 9 months and 2 and a half). She came 6 or 7 times on our week-long stay and each time my daughter was excited to see what she brought or what they would do outside. Ali communicated well with me and I was so pleased with her interaction with both kids. If I lived in Hawaii, she’d be our regular sitter. She made our vacation a wonderful one, with lots of dates for my husband and me! We have a 17 month old girl and a 4 year old boy. Ali came to our home and she is truly a special caregiver – almost like a “Child Whisperer”. We have had other sitters come by and it usually took some time for our children to warm up to them. Ali had both children smiling and playing within the first hour. She has a unique philosophy where she uses “play therapy” to allow the children to use their imagination and engages them constantly. There is no iPad, TV or technology here. She has a background in education and brings her own play therapy toys that are suited for the right age and gender. My son could not stop talking about how much he enjoyed his time with Ali and she is now his new “best friend.” There is a genuine passion and after one visit my wife and I completely trust her with our children. I highly recommend her.